That's it, basically. 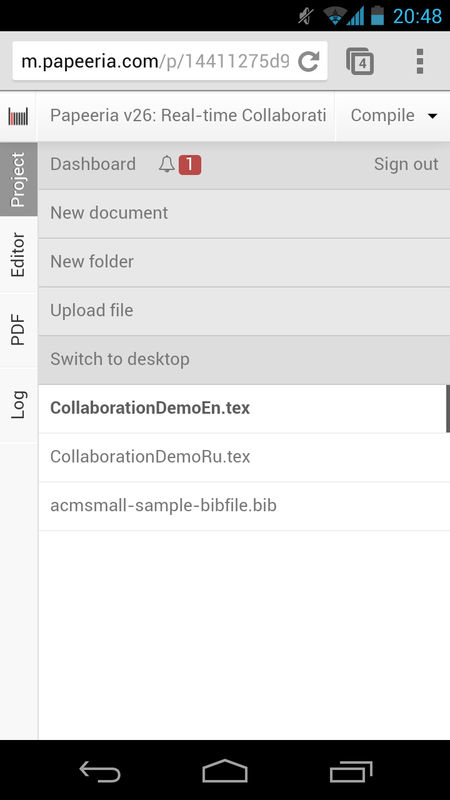 If you're working on a project with your colleagues, you can enjoy real-time editing from now on, provided that collaborators have write permissions. This feature is available on all pricing plans. 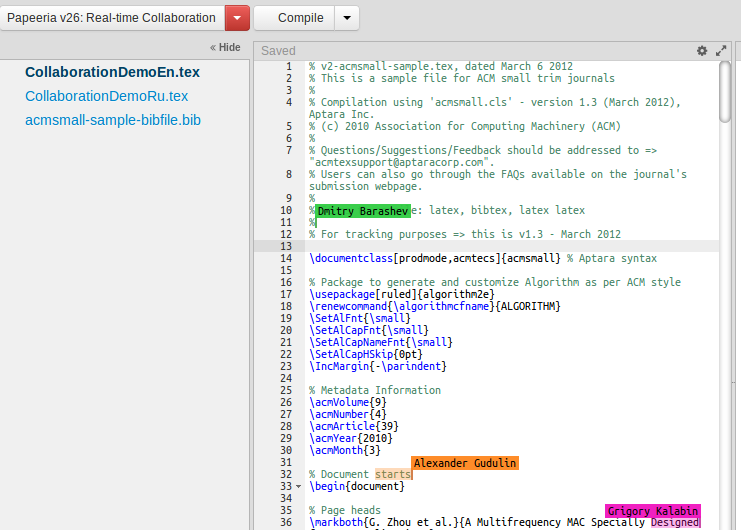 Every editor can see carets and names of other collaborators (hint: you can toggle names with Alt+C shortcut). Our server continuously merges edits into a single document. Normally it succeeds, but if for some reason merging fails, it notifies appropriate users. Users of Papeeria Mobile will continue blocking files which they edit for a while, but we're working on removing this restriction. Grigory who has been working hard on this feature for a few months is just a superman. Besides real-time collaboration, this update brings notifications to Papeeria Mobile. Thanks to Alexander for that! Stay tuned! New cool features are coming!